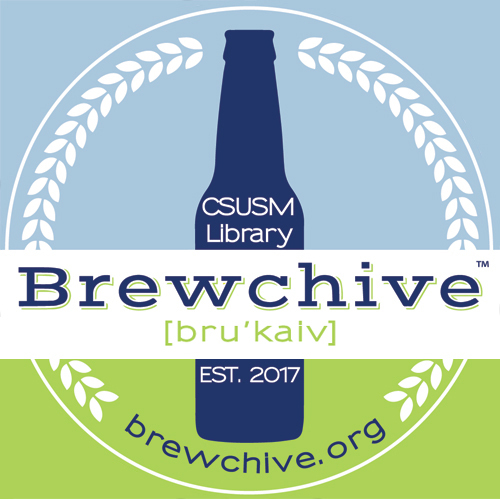 The purpose of the Brewchive is to document and preserve the history of the craft brewing industry in San Diego County. We are interested in materials from brewers and others in the San Diego County area involved with beer, mead, cider, sake and other fermented beverages. Advertising: Beer lists, menus, coasters, posters, brochures, event announcements, or advertisements. Biographical information: life stories/oral histories, resumes, blogs posts, interviews, or brewing manifestos. Visuals: Pictures and videos: brewing practices, breweries, craft brewing industry pioneers, or other important events. Published materials: unique or rare trade periodicals, reference books, industry journals, and newspaper or magazine articles. Business records: marketing materials, and press releases. Creative: Recipes, brew sheets, and brewing logs, labels, cartons. Other Realia: Glassware, growlers, and taphandles, etc. We are also recording oral histories from brewers and others about your experience and memories. Please note: We cannot provide values for the material donated, but can provide a donation receipt for your records. We will ask if you own the publication rights to the material as that will affect how we make it available for research. Questions as to donating your materials or access to view the materials? Please contact Judith Downie or CSUSM Special Collections.